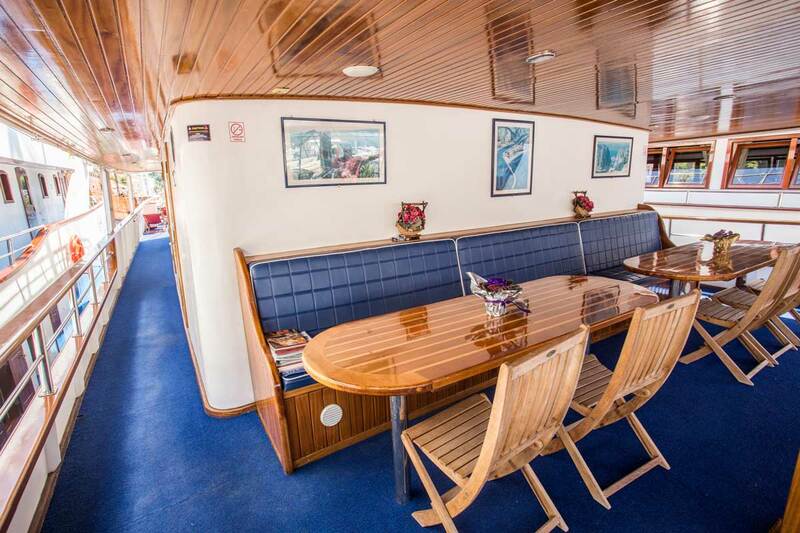 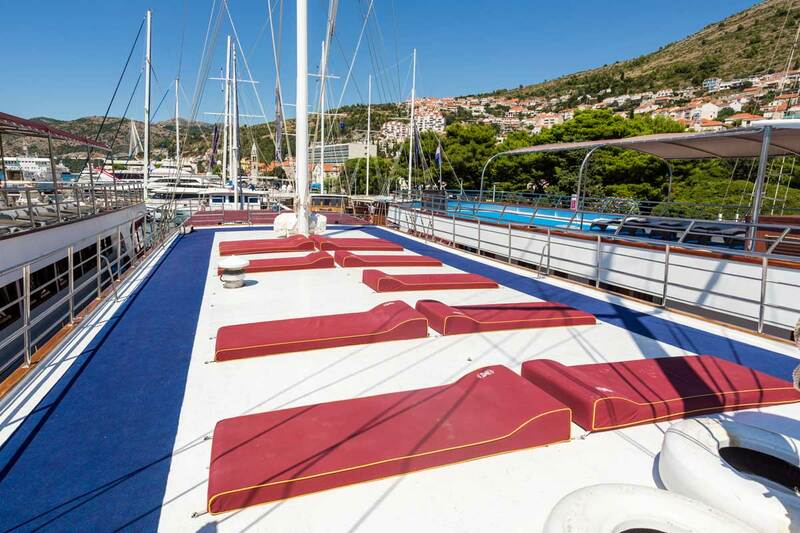 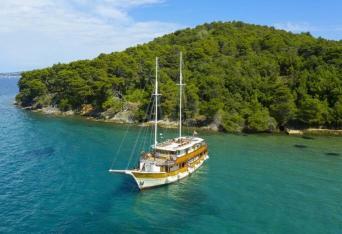 The boat is classified 5* rating, 33 m long, 7,80 m wide and has 2 masts, with cruising speed of 9 NM. 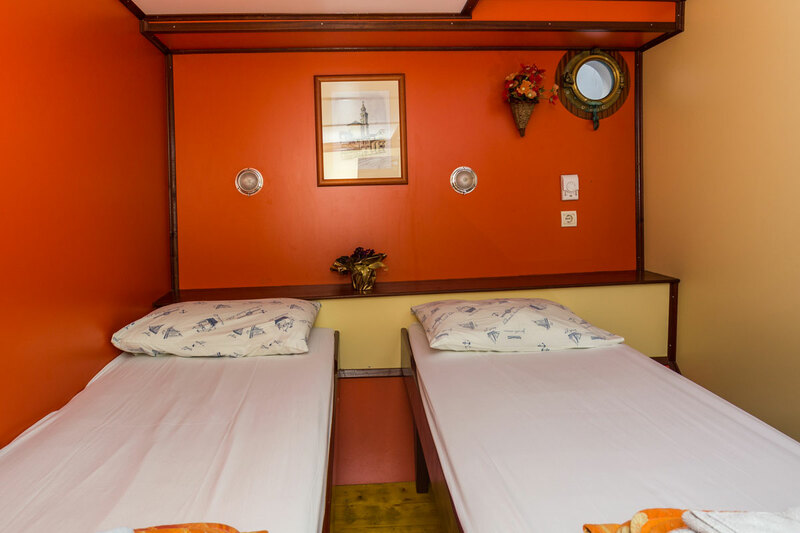 Capacity: 40 persons. 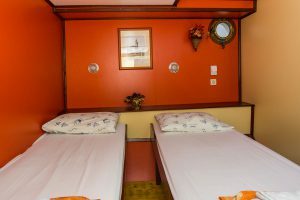 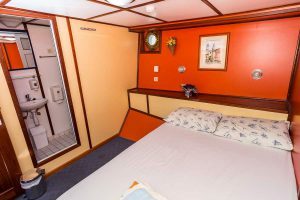 It has 18 cabins (all fully air-conditioned) with twin beds or queen-size bed with possibility for an additional bed, cupboard, cabinet and window or porthole, bathroom with shower, toilette and wash basin. 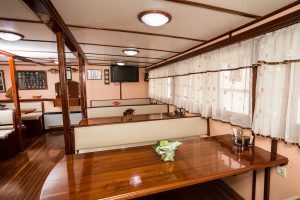 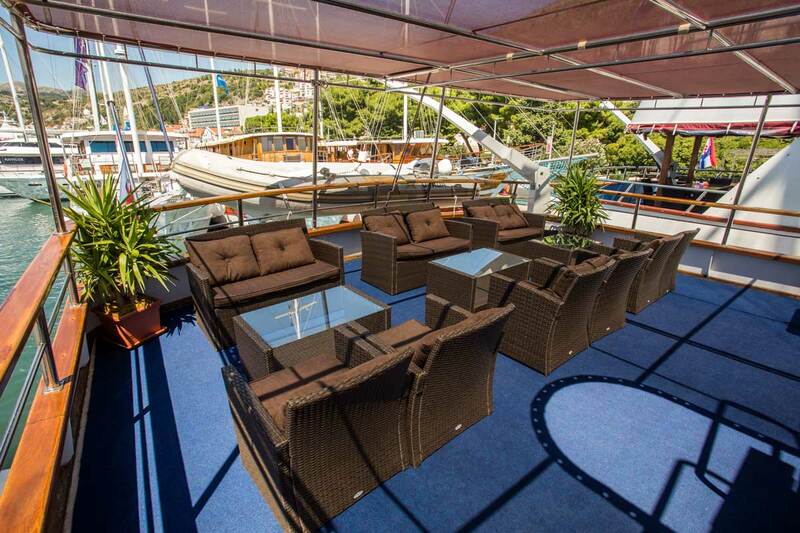 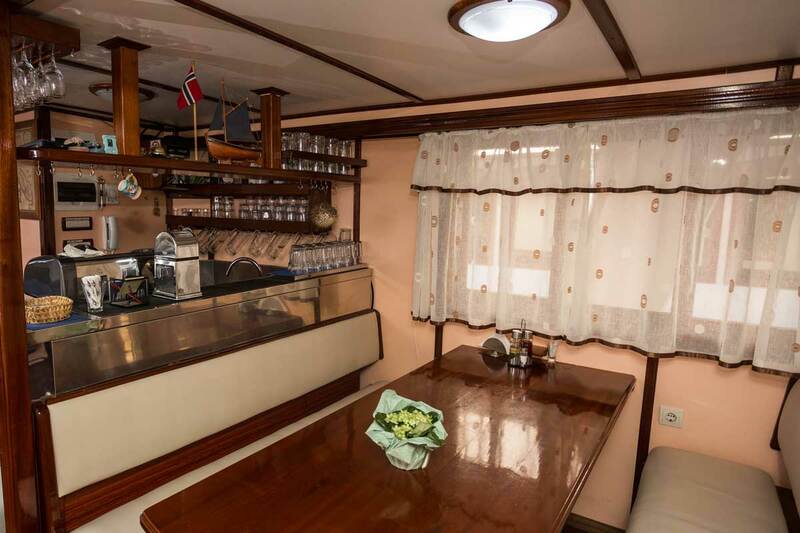 It has fully air-conditioned salon restaurant on the main deck (for 40 persons) with bar and LCD TV, two sun decks, one of which has sun beds and tables. 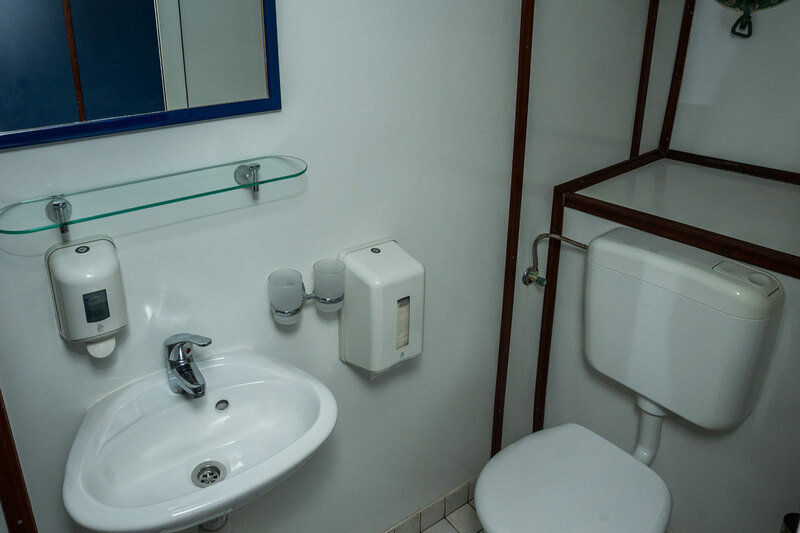 It also has two outside toilets with showers. “Above Deck” cabins are on Main or Upper Deck.